2019 registration is open! Click here to view on UltraSignup. Upon completing the anticipated qualifying race, send an email to Race Director Peter Fain (peter@runondirtcoaching.com)confirming your completion, and the results link. Donner Party Mountain Runners enjoy a 15% registration discount. Click here to join today! Heads up for registration :: We need your belt size in inches (even numbers) so that we can craft your finisher’s belt. Method 1: Use your pants waist size plus 1 inch. Method 2: Measure a belt you currently wear. Measure from where the buckle attaches to the belt (leather wraps around the buckle) to the hole you are currently using. 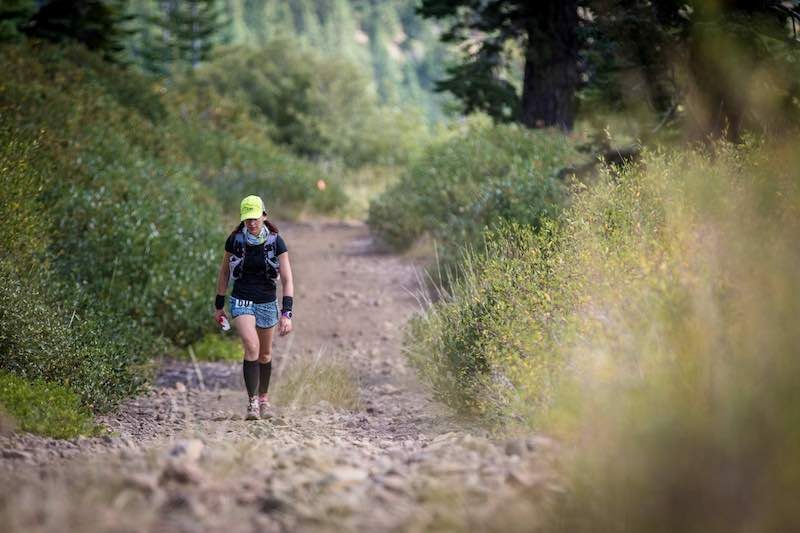 July 1 – 31, 2019: We will offer a 50% credit for the 2020 Castle Peak 100k. All 2020 qualification standards and registration policies will apply.